WHO is the holder of the processing of personal data? The company “Net.Service SRL”, owner of the processing of personal data will depend on how you interact with the backoffice computer applications, the WEB Sites and the Apps developed by Net.Service SRL and will also depend on where you will be in the world. Some personal data may be requested in order to provide the requested products or services. 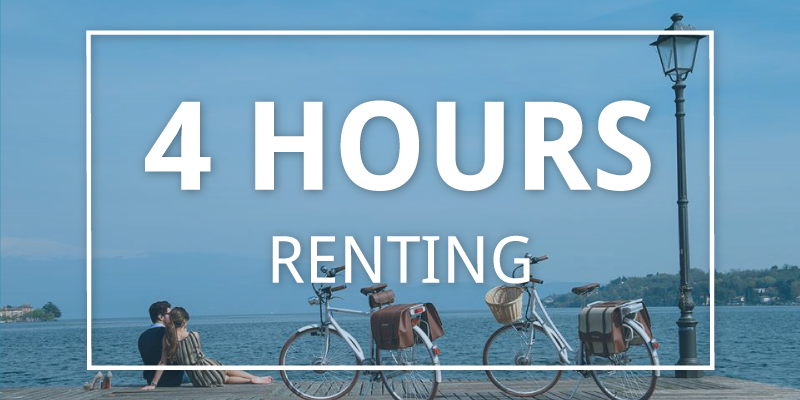 For example, when renting one or more bicycles, when contacting our consumer services, when requesting information and communications, when creating an account, when participating in our events or competitions, or when using our WEB Sites or our Apps. personal preferences, as well as preferences on marketing and cookies. information on social networks and any information deriving from your post-public on NETBIKE services or communications with us. In compliance with the law, we do not allow registration at our Websites or Apps to those who have not reached the minimum age established by the law of their country of residence. Parental consent will be required for the participation of minors in experiences and events related to NETBIKE services. At the time of use of our rental services, our Apps and our Websites, we will promptly notify or request consent for certain practices. For example, we will request consent to use your location and send push notifications. The consent can be obtained through the Apps or Websites or using the standard permissions available on your devices. In many cases, the browser or mobile platform will provide additional tools to control when the device collects or shares certain categories of personal data. For example, your mobile device or browser may offer tools that will allow you to manage cookie usage or location sharing. We invite you to familiarize yourself with and use all the tools available on the various devices. When our Rental Services, Web Sites and Apps are used, we will use personal data to provide the requested product or service. 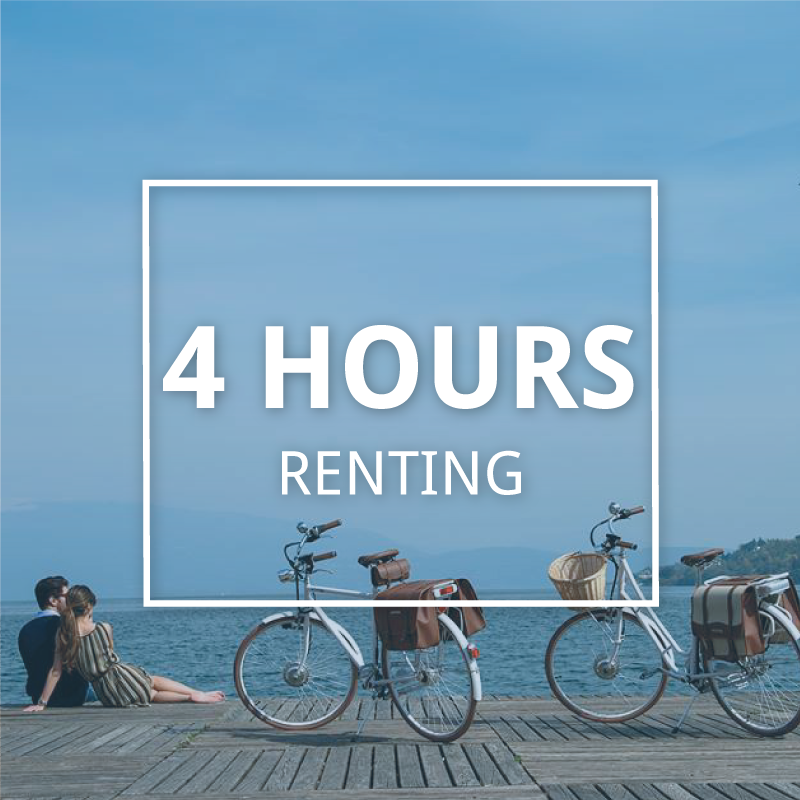 For example, if you purchase a rental on NETBIKE.IT, or take part in an event or a promotion, we will use the information that is provided to communicate with you regarding the purchase, the event or the promotion . If you contact our consumer services, we will use certain information about you, such as information for delivery or payment methods, or information about the product that was purchased in order to help you solve a problem or respond to a problem. question. If you use our Apps to visit routes and view points of interest, we will collect this personal data and store them only in order to optimize the functionality of the applications. The data related to the visit of the routes may include the data that are entered on the activity performed, or the data collected by the device as location data and movement data. We can use this data to calculate further information on the activity performed, such as the distance traveled, the deviations made during the use of the routes in relation to the presence of a stakeholder that offers additional services, so that all the information that is calculated can then be provided and represent one of the features of the App. 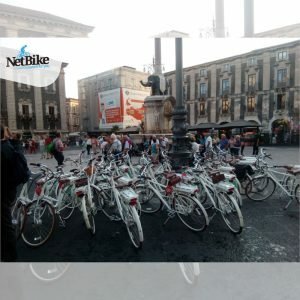 In many cases, to use particular features of our Sites and Apps it may be necessary to provide NETBIKE with additional data or additional consent for the use of certain data in a certain way. For example, to share content on social media, you may be required to provide the credentials of the relevant account to log in. 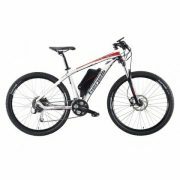 To communicate information about our Products, Services, Events and other Promotional Items After obtaining your consent, we will send marketing communications and news about products, services, events and other promotions of NETBIKE. This consent may be revoked at any time. If you are already a NETBIKE customer (for example, if you have placed an order with us), we may use contact details provided at the time of bicycle rental to send communications for marketing purposes on similar products or services where this is permitted by law applicable (unless you have chosen not to receive such communications). In other cases, consent will be required to send NETBIKE marketing information. 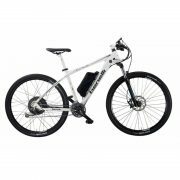 We may also use the information provided and information relating to other NETBIKE products or services, such as the use of NETBIKE Sites and Apps, visits or purchases made in NETBIKE stores, participation in NETBIKE events and competitions – to customize the communications on products and services that may interest you. We will use the data provided to manage our business. 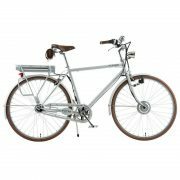 For example, when making a bicycle rental, we will use this information for accounting, auditing and other internal functions. We may use personal data on how we use our products and services to improve your experience with NETBIKE and to help diagnose technical and service problems and to better manage our Sites and Apps. We use data on how our customers use our Rental Services, Sites and Apps to understand customer behavior or preferences. 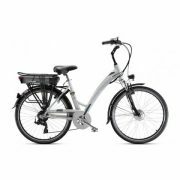 For example, we can use information on how NETBIKE WEB / App visitors search and find products to understand what the best ways to organize and present products in our online e-commerce can be. We may also use personal data in other ways and at the time of collection we will give specific notice and request consent if necessary. When you purchase NETBIKE products from our Websites and Apps, personal data is necessary to enable us to fulfill the contract we have entered into with you. For example, payment and contact details are necessary to proceed with order fulfillment. When using our Apps, we use the consent for the processing and for purposes limited to the purpose of fulfilling the contract that we have entered into with you (for example, for purchases from the App). 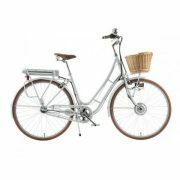 When renting one or more bicycles offline, a written consent is requested to use the data provided. Subsequently, the data collected are processed within computer applications that guarantee maximum security and compliance with the privacy regulation. For legal reasons, such as our legitimate business interests, to fulfill legal obligations, or to protect your vital interests. Companies belonging to the “NETBIKE” group for the purposes and conditions described above. Service providers who process personal data on behalf of NETBIKE, for example to process credit card and payment data, to manage data, to send e-mails, to search and analyze, to manage product promotions, as well as administer certain services. When we use third-party service providers, we enter into agreements that require them to take appropriate technical and organizational measures for the protection of personal data. Other third parties to the extent necessary to: (i) comply with a government request, court order, or to comply with applicable laws; (ii) to prevent illegal use of our Websites and Apps or violations of the terms and conditions of use of the Websites or Apps or our internal policies; (iii) defend against third party claims; and (iv) facilitate fraud prevention or investigation (e.g. counterfeiting). Other third parties, where consent has been issued. We may also transfer the personal data that we have in the case of sale or transfer in whole or in part of our business or our assets (even in the case of reorganization, spin-off, dissolution or liquidation). When using certain social features on our Websites or Apps, you can create a public profile that can include information such as the name, profile picture and hometown. You can also share content with friends or with the public, including information on the NETBIKE activity. 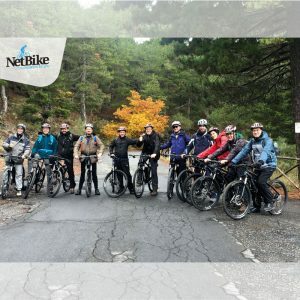 We invite you to use the tools we provide for managing NETBIKE social sharing to check what information is made available through the social features of NETBIKE. Throughout the period in which the customer data will remain in possession of Net.Service SRL, we undertake to ensure that they are protected in an appropriate manner and used only for appropriate purposes. The data will be kept for the entire period in which a person remains a customer of Net.Service SRL. If a person is no longer a customer of Net.Service SRL, we will retain your data for the minimum period of time necessary to comply with the purposes described in this Policy and the applicable legislative or regulatory obligations. Normally this period of time is not more than 10 years beyond the duration of the data collected, except in some specific circumstances in which it may be longer. Personal data processed solely for purposes of service activation and marketing are not normally stored for more than 24 months beyond the duration of the data collected, but may be stored longer in certain specific circumstances. The conditions that may lead to the extension of the retention period of personal data may include the need to identify a customer in case you register again on services managed by Net.Service SRL, our legitimate interest in the prevention and identification of criminal activities or preparation and defense in case of legal actions. Once these conditions have ceased, the customer’s personal data may be kept longer if it is not possible to delete them for technical reasons. We use a variety of technical and organizational security measures, including encryption and authentication tools, to maintain the security of personal data. to comply with a duty or a legal obligation. based on the fact that the European Commission has verified that the country in which the personal data will be received offers the same level of protection of the EEA. For more information, see the website of the European Commissioner for Justice. by entering into contracts requiring the recipient to protect personal data with the same standards of protection as used in the EEA. if the transmission is made to the United States, the recipient must adhere to the EU-US Privacy Shield. The EU-US Privacy Shield is an agreement that ensures the protection of personal data at a level approved by the European Union. Further information on the EU-US Privacy Shield is available on the website of the European Commissioner for Justice. In some cases we may be legally obliged to provide customer personal data to third parties and may have limited control over how they are protected by such institutions. You have the right to request: (i) access to your personal data; (ii) an electronic copy of personal data (portability); (iii) the correction of personal data if incomplete or inaccurate; or (iii) the deletion or limitation of personal data in certain circumstances required by applicable law. These rights are not absolute. If we have obtained consent for the processing of personal data, you have the right to withdraw your consent at any time. If you wish to request a copy of your personal data or exercise any of your rights, please contact us using the contact details provided in the “Questions and Feedback” section below. 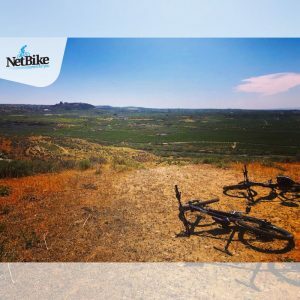 If you have a NETBIKE account you can object to receiving marketing communications using the contact details provided in the “Questions and Feedback” section below. NETBIKE collects and records information from your browser when you use our Sites, which may also include personal data. We use a variety of methods, such as cookies and pixel tags, to collect this information, which may include among others: (i) IP address; (ii) unique cookie identifier, information about cookies and information about the fact that the device has software to access certain features; (iii) unique device identifier and type of device; (iv) domain, browser type and language, (v) operating system and system settings; (vi) country and time zone; (vii) websites previously visited; (viii) information on your interaction with our Sites, such as clicks made, purchases and preferences indicated; and (ix) access times and reference URLs. Third parties can also collect information from the Sites through cookies, third-party plug-ins and widgets. The third parties collect the data directly from your web browser and the processing and processing of this data is subject to the respective privacy policies. Functional: these cookies are necessary for the basic functionality of the Site and are therefore always enabled. These include cookies that allow users to remember when browsing the site in a single session or, if required, from one session to another. They help to make the shopping cart and payment process formation possible, as well as providing assistance for security issues and regulatory compliance. Social media and advertising: cookies related to social media offer the possibility to connect to social networks and share contents of our sites through social media. The advertising cookies (third-party) collect information to help better adapt the advertising to your interests, both inside and outside our sites. In some cases, these cookies involve the processing of your personal data. Refusing these cookies may result in advertising of no interest to you or the inability to connect effectively with Facebook, Twitter or other social networks and / or to share content on social media. For a complete and updated summary of all the third parties that access the web browser (through NETBIKE Sites or other), it is advisable to install a specially created plug-in web browser. You can also choose to have the computer send a warning every time a cookie is sent, or you can choose to disable all cookies. You can do it in the browser settings on each browser and device that is used. Each browser is partly different, so you will have to consult the browser’s help menu to know the correct way to change cookies. If you disable cookies, you may not have access to many features that make our Sites and Apps more efficient and some of our services will not work properly. Our WEB Sites and Apps allow you to interact with a wide variety of other digital products and services. For example, our WEB Sites and Apps can be integrated with third-party devices to track activities, with social networks and other digital services. If you choose to connect your NETBIKE account to a third-party device or account, your rights with regard to the processing of personal data on third-party platforms will be governed by their respective privacy policies. For example, if you choose to share your NETBIKE activity on social media platforms, it will be the policies of those platforms to regulate the data collected there. Our WEB Sites and Apps can provide links to other WEB sites and apps (third-party) for your convenience or information. The WEB Sites and the connected Apps have their own information or privacy rules, which we strongly recommend to examine. To the extent that any connected WEB sites or Apps are not owned by us or are not controlled by us, we are not responsible for their content or for the use of websites or apps or for the privacy policies of such websites or App. You can also send an e-mail to data.protection@net-serv.it or use the appropriate contact form. The privacy complaints will be evaluated in order to solve the problem in a timely and effective manner. You also have the right to file a complaint with the Guarantor Authority of your country of residence.